Julie Reid is an academic and media analyst at the Department of Communication Science at the University of South Africa (UNISA). She writes about the state of media freedom in South Africa on her blog at http://bigmediadebate.blogspot.com/. After the collective euphoria of the Fifa World Cup in South Africa dissipated earlier this year, much of the news media’s attention has been occupied with the debate surrounding the ruling party’s attempts to set up a Media Appeals Tribunal (MAT) and to have the newly drafted Protection of Information Bill (PIB) approved by parliament. The African National Congress (ANC) first mentioned the idea of a Media Appeals Tribunal in 2008, but public discussions of a proposed MAT have gathered momentum, and seemingly widespread support within the party, throughout 2010. The ANC’s description of the role of such a tribunal has lacked detail, but comments indicate that it would provide a legal platform where aggrieved persons could complain about the press’ coverage of particular issues. The controversial Protection of Information Bill has been redrafted many times over a number of years, but nonetheless still contains clauses which may have worrying implications to members of the media. This bill, in its current format, makes it a punishable offence for the member of the press (or anyone for that matter) to possess or publish classified state information: journalists may face 25 year prison sentences if found to be in contravention of the bill. The bill vaguely defines any government information as classifiable if it is regarded, at the sole discretion of literally any politician or civil servant, to be harmful to “national interest”. Effectively anyone who works for government could potentially classify any piece of information about the government. This obviously has wide-reaching implications. The recent fronting of the proposed bills and the suggested statutory body (MAT) has raised much concern within South African civil society, academia and the media alike. Together, these attempts at what many see to amount to limiting media freedom, point toward the continued and intensifying negative relationship between the ANC and the free press. Many commentators within South Africa see the MAT as entirely unnecessary: there are already a number of official self-regulatory bodies which monitor the workings of the media, including the Press Ombudsman, The Press Council, and The Broadcasting Complaints Commission of South Africa (BCCSA). Added to that, citizens who are misrepresented by the media may also find protection in South Africa’s defamation (libel) laws. Worryingly, the ANC has in recent months proved that they are not enthusiastic about debating these issues. On 12 October 2010 I organised a public open debate which was hosted at the University of South Africa on the MAT and PIB. We hosted this debate in order to open a space for media and journalism academics, and politicians to engage the various issues at hand surrounding the MAT and PIB, in an open, public and transparent forum. The panel included high profile academics (Prof Franz Krí¼ger and Prof Guy Berger) and politicians (MP Lindiwe Mazibuko and Pieter Mulder, both from opposition parties). The ANC National Spokesperson, Jackson Mtembu, wrote to me saying that the ANC were not prepared to send a representative to the debate. Sadly, the ANC opted out of an excellent opportunity to explain the intellectual thinking behind the proposed legislation and MAT, to an audience who have real concerns over these matters. Later that same week I attended the Rhodes University colloquium on a similar topic, where ANC members Dr Pallo Jordan, Lumko Mtimde (head of the Media Development and Diversity Agency) and Ishmail Vadi (then head of the parliamentary portfolio committee on communications) were all in attendance. Although issues surrounding the media were hotly debated, all three ANC representatives were unable to present convincing and logical motivations for the MAT and PIB. Dr Pallo Jordan supplied various arguments in favour of a MAT but unfortunately, the logical progression of these arguments does not entirely add up. According to Jordan, the ANC has historically had a high regard for media freedom and he mentioned examples of when the ANC during the struggle years, utilised the media to its advantage. Jordan asked: In light of the ANC’s historical relationship with the media, why are we all so quick to believe that the ANC would attempt to restrict media freedom now? I find this argument a weak one. Because the ANC did not take a certain action in the past, does not offer justifiable solace that it will not do it in the present or the future. Added to that, Dr Jordan, I think we are all aware that the ANC of today is not the same party, for better or worse, than it was during the struggle years. Jordan also motivated the MAT by saying that should someone wish to lay a charge of defamation against a journalist, the current court system was too expensive (it costs a lot of money to sue someone in South Africa). At this some of us suggested that as a solution we could engage with the Legal Aid Board which currently does not support people who want to enter into defamation proceedings, and suggest this kind of reform. Dr Jordan did not have a response to this remark. He also could not tell us why the ANC wants to make it cheaper and easier to take a journalist to court, over any other ‘criminal’ in South Africa. Dr Jordan’s confusing rhetoric of support for a Media Appeals Tribunal was, however, far less pointed in tone to that of some other ANC representatives in recent months. Members of the African National Congress Youth League (ANCYL) have reportedly said that their parent party (the ANC) need not even discuss a Media Tribunal but instead should implement it as soon as possible. Floyd Shivambu (spokesperson of the ANCYL) has called the Press Ombudsman useless, accused journalists of “brown envelope journalism” (a term for bribery) and alleged that newspapers continually front the hidden agendas of opposition parties in order to discredit the ANC. (The ANCYL often brandishes an unsettling tone toward opposition parties: leader of the ANCYL, Julius Malema, recently called the leader of South Africa’s opposition party, Helen Zille, a cockroach at a public rally in Stellenbosch. Many commentators immediately drew the correlation between this insult from Malema and the derogatory term used against ethnic Tutsi’s in Rwanda in the early 1990’s). Akin to the ANC’s worrying negation of open discussion on these issues is the problem that often it seems that the ANC is quite divided on the proposed MAT in particular. During October, Deputy President Kgalema Motlanthe had a meeting with the South African Editors Forum (Sanef) during which Motlanthe stated that if the media is willing to investigate and improve self-regulation and the functioning of the Press Ombudsman, then the ANC would drop its insistence on a Media Tribunal. A week later, however, President Jacob Zuma contradicted this statement, when he reportedly said that the ANC would continue to pursue the establishment of an MAT, and said, “We resent the lectures we are given currently that the ANC is suddenly hell-bent on curtailing the media”. Zuma’s statement concerns me for two reasons: first, because it immediately devalues any progress made at the meeting between Sanef and Motlanthe, or between academics and ANC members at Rhodes, in terms of opening channels of discourse and healthy debate. Secondly, it means that the president of the ANC and the country has little regard for this kind of robust debate, regarding them simply as critical “lectures”. This kind of literal closing-down of the space for public discourse/debate between government and civil society cannot be healthy for a fledgling democracy. Prof Pieter J Fourie (media analyst at the University of South Africa) has described the PIB and MAT as threats to press freedom that hang like an ominous sword over the media. But apart from these measures to implement legislation (which are currently not yet in place,) the reality is that an atmosphere of intimidation towards journalists in South Africa is now becoming much more acute. Here are some examples. The cartoonist Jonathan Shapiro (known popularly as Zapiro) has been taken to court over his critical representations of Jacob Zuma (although the South African Human Rights Comission ruled in favour of Zapiro saying that his cartoons expressed “free, open, robust and even unrestrained criticism of politicians by a journalist” and had stimulated “valuable political debate”). In August 2010 Sunday Times journalist Mzilikazi Wa Afrika was arrested after he wrote an article which questioned the involvement of chief of police, General Bheki Cele in an irregular contract of R500 million. Wa Afrika was inexplicably whisked off by police to another province, who delayed informing his lawyers where he was being held or what he was being charged with. Not long after Wa Afrika’s arrest, two journalists from the Daily Dispatch were reportedly threatened by police in connection with an anonymous letter threatening the safety of a cabinet minister, which was seemingly prompted by a public meeting, reported on by the two journalists. Added to this, are the sinister reports of assassinations and hit-lists in Mpumalanga province, where government whistle-blowers have allegedly been killed. Earlier this year, ex-ANC member, James Nkambule, claimed that corruption surrounding the building of the multi-billion rand Mbombela stadium for the Fifa World Cup led to a number of assassinations in the province. Nkambule is now dead: his autopsy report reveals evidence that he was poisoned. Along with these disturbing reports is the concern that the PIB and MAT may in fact be a direct affront on the constitution. Chapter 2, section 16 of the Constitution of the Republic of South Africa: point 1 reads “Everyone has the right to freedom of expression, which includes (a). freedom of the press and other media…”. South African Press Council chair Raymond Louw, has complained that the MAT amounts to a clear violation of the constitution, saying that the objectives of the proposed tribunal indicate an intention to violate the promotion of media freedom and freedom of expression. Because the ANC seems rather divided on the MAT, and because it has supplied very little information on what the tribunal will actually do, it is still impossible to say whether the MAT will qualify as unconstitutional, or whether the ANC will attempt to amend the constitution in order to institute it. What is clear, however, is how the Protection of Information Bill has the potential to severely limit the media’s access to information, making it almost impossible to investigate matters connected to government. We know that other African governments are looking south for justifications of their own, sometimes dubious, actions. In Zambia, where the struggle for media freedom and a self-regulated press continues, the minister of information and broadcasting services, Ronnie Shikawasha reportedly said that South Africa taking the issue of media self-regulation to Parliament is indicative that self-regulation would fail in Zambia, similar to how it is failing in South Africa. Except that many of us who believe in a free press, do not feel that self-regulation is failing in South Africa at all. The symptomatic repercussions of the ANC’s rhetoric surrounding the media are, however, having international consequences on the continent. 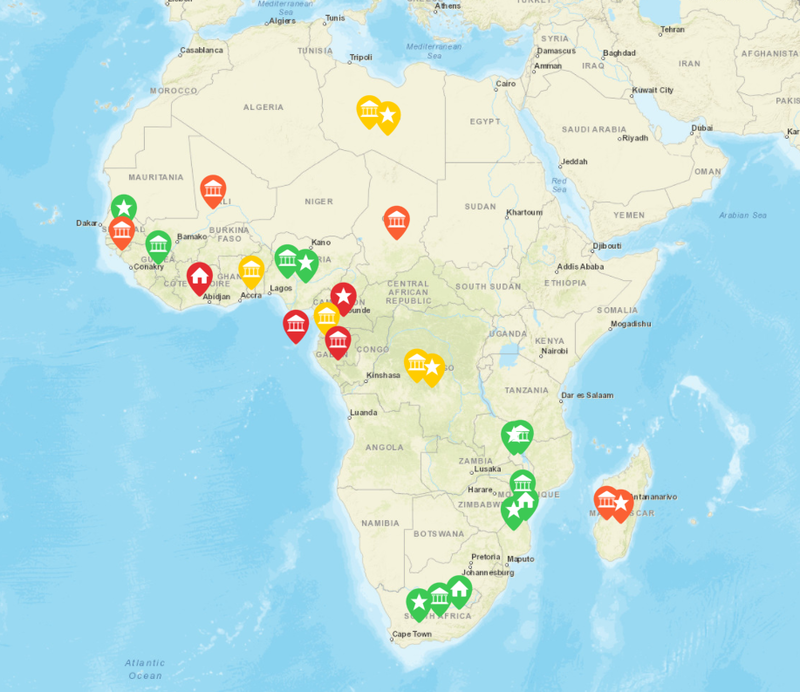 Apart from the Zambian example, the advocacy and research organisation, Freedom House recently released a report which lists only three countries on the African continent as having a truly free press (South Africa is not one of them). Although press freedom seems a sparse commodity in Africa there is progress: Namibia, Uganda, Botswana, Tanzania and Malawi all recently set up press self-regulatory structures. This is a positive step toward advancing media freedom on the continent. Nonetheless, one cannot not help but worry that South Africa’s apparent deviation away from the ideal of a free media may have a damaging ripple effect across the continent.